EESL has now pushed back its plans for putting the first batch of battery-driven cars - procured under the first tender floated last August - on the roads by nearly a year. India's plans for vehicle electrification seemed to be going great guns when state-run Energy Efficiency Services Ltd (EESL) floated a second large tender for 10,000 electric cars in March, in a span of just seven months. After all, this agency, a joint venture of power PSUs, is spearheading electrification of the 5-lakh odd cars used by the government for official use. For a while there, the government's ambition of having a 30 per cent electric car fleet by 2030 also seemed less of a pipedream. But a lack of charging points has played party pooper. EESL has now pushed back its plans for putting the first batch of battery-driven cars - procured under the first tender floated last August - on the roads by nearly a year. Saurabh Kumar, the agency's managing director, told Bloomberg that the new plan is to roll out the 10,000 vehicles by March 2019. To remind you, Tata Motors had won the first tender with a winning bid of Rs 11.2 lakh for its electric Tata Tigor, a price that was later matched by Mahindra & Mahindra for its e-Verito in the first phase of procuring 500 vehicles. The initial deadline for the first phase was last November with the rest of the order following by June this year. "The need for building more charging points for 10,000 electric cars and states being slow in taking deliveries are the reasons for the delay," Kumar told the news company, adding that there are about 150 cars in the capital and around 100 in southern Andhra Pradesh and other provinces as of now, but of the 200-odd charging stations built for these cars, over 100 are in Delhi. As we have previously pointed out, EESL has not had much luck with its tenders for charging stations. Last September, it had floated a tender for 4,000 charging stations, which had to be scrapped due to lack of clarity on specifications and the criteria for testing the chargers. The following month it had invited a snap bid for 300 charging stations, which also had to be cancelled. In November 2017, yet another tender for setting up 250 charging stations in Delhi-NCR was floated and this time EESL got third-time lucky and the tender was awarded to Exicom Power Solutions and EVI Technologies. This slow take-off on this side of things has led to a delay in delivery of the cars. "We are aggregating demand and have not deployed the vehicles so far. "It is important that we lay out the charging infrastructure. The work is 60-70 per cent complete. The moment we cover the need for overall charging infrastructure, we will start delivering the cars," Kumar had said in February. This is a worrying development for India's electric vehicle (EV) plans. 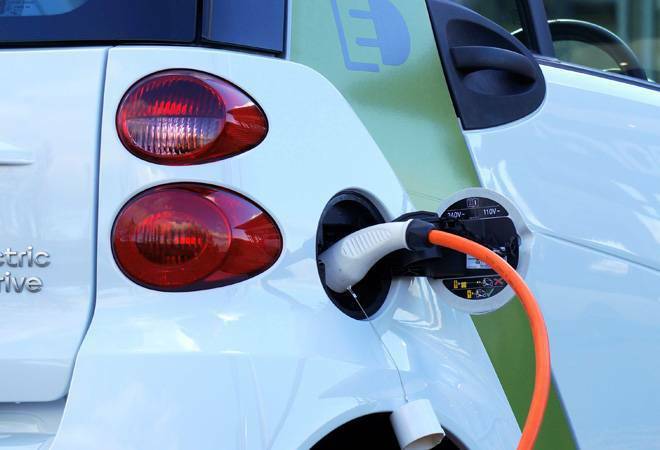 Citing analysts, the report pointed out that these tenders are the largest drivers for EV demand and should the procurement falter, automakers will push back their own plans to introduce mass-market EVs in India. Let's not forget, without large volumes, EV prices cannot be brought down significantly. Several global players in the EV world have already shown interest, pending government incentives. Last July, Mercedes Benz Managing Director of India, Roland Folger, had reportedly urged the Indian government to offer incentives for EV manufacturing. Last week, Elon Musk had tweeted that Tesla "Would love to be in India. Some challenging government regulations, unfortunately." There is no denying that EVs are the future. But how fast that future arrives will depend on government action here on. The absence of state subsidies for EVs, which are currently far more expensive than petrol/diesel variants, make government purchases a game changer. "I have demand for 19,000 cars today and if I don't get more, there won't be a third tender," Kumar added. The Modi government should pay heed. Last November a FICCI-Rocky Mountain Institute had pointed out that India's switch to battery-operated cars potentially could save the country mega-bucks. "Given current utilization trends, India would require nearly 1,600 million metric tonnes oil equivalent of petrol and diesel to fuel its passenger mobility sector between 2017 and 2030. Assuming India continues to import nearly 80 per cent of its oil, this oil-import demand could cost $550 billion," said the report. In contrast, meeting India's EV ambitions through 100% domestic manufacturing of batteries would require at least 3,500 GWh of batteries between 2017 and 2030, at a wholesale cost of US$300 billion (INR 20 lakh crore)-half the cost of the avoided oil imports. Along the way, we could spare the planet of 1 giga-tonne of carbon-dioxide emissions by 2030.